I received this a few months ago and have waited to write my review to make sure I was a true fan. This this is amazing!! Since I have started using it my mobility has improved and my muscle soreness has dwindled, especially in my back. Within a few days of using it for only a few minutes (5min max) during the evening I can tell a world of difference plus it is a nice way to crack your back too. I targeted this with the intentions of being able to simultaneously target and "scrub" back/shoulder muscles that traditional rollers couldn't. I no longer have to resort to a lacrosse ball due to the rugged channels that dig deep into the muscle tissue. The channel is also extremely ideal for hips, calves, quads, hams, etc. I highly recommend this to anyone who's looking to take their mobility to the next level. First let me say this is the best foam roller I have used. 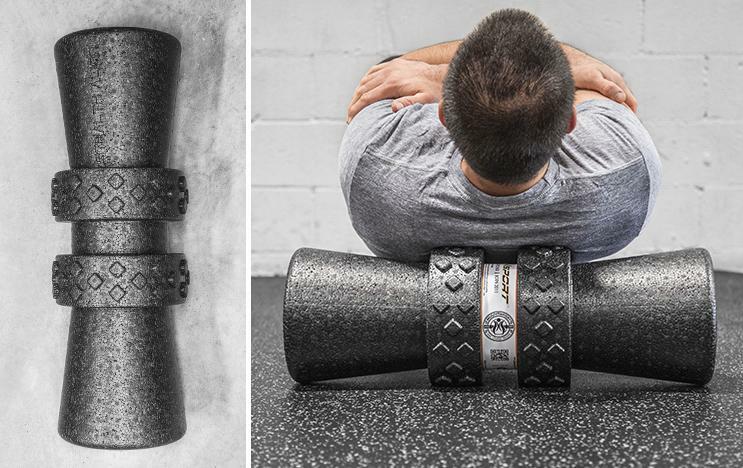 It is firm and the unique design allows you to roll out all aspect of your body. As a nurse and crossfitter my back is often stiff and locked up. This roller allows me to release my back comfortable. The center channel protects my spine, and the height of the roller allows me to stretch and mobilize to the full extent. The foam is dense and has held up well. I have used this roller constantly for multiple months and I will not go back to the standard roller.